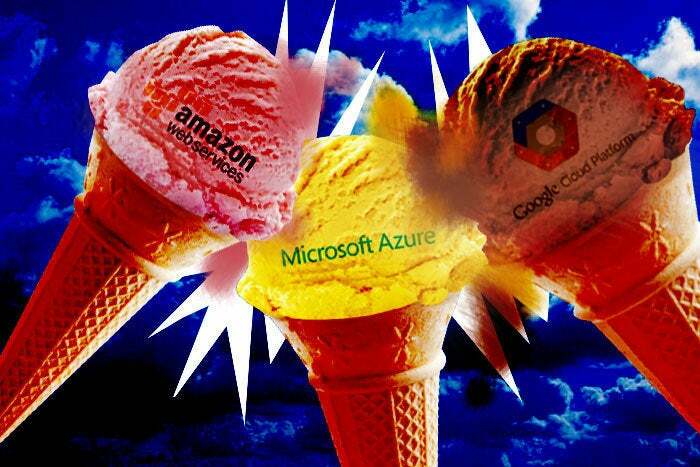 Home - Off The Hook - Which cloud performs better, AWS, Azure or Google? Most IT professionals select cloud providers based on price or proximity to users, but network performance should also be considered. Because as we see in a new report from ThousandEyes, the underlying network architecture of the big cloud providers can have a significant impact on performance. And performance varies widely among cloud service providers. In its first annual public cloud benchmark report, ThousandEyes compared the global network performance of the “big three” public cloud providers — Amazon Web Services (AWS), Google Cloud Platform (GCP), and Microsoft Azure. The network management company looked at network performance (latency, packet loss, jitter) and connectivity architecture. It also measured user-to-cloud connectivity from 27 cities around the globe to 55 AWS, Azure, and GCP regions and measured the inter-AZ and inter-region connectivity within all three cloud provider networks. In addition, they measured inter-region connectivity between all 55 regions on a multi-cloud basis. Perhaps the most intriguing finding in the ThousandEyes report was that the AWS network design forced user traffic to use the public internet for most of its journey between the user’s location and AWS region. This is in stark contrast to Azure and GCP, which ingest user traffic close to the user and ride their private network for as long as possible. There are some technical differences in network design that causes that, but the net result is that AWS routes user traffic away from its backbone until it gets geographically close to that region. In bandwidth-flush regions such as the U.S. and Europe, internet performance and private network performance don’t vary that much, so users are not likely to notice a difference. In locals such as Asia where fiber routes are sparser, however, internet performance can vary, creating unpredictable performance. The tests showed that in Asia, the standard deviation on AWS network performance is 30 percent higher than GCP and Azure. Another major finding was that there are some regional anomalies that vary by provider. For example, GCP has a robust global network but does not have a fiber route between Europe and India. That means traffic going from London to Mumbai would take three times as long to get there than traffic on Azure or AWS. This can have a big impact on the quality of real-time applications such as voice and video. All three cloud service providers continue to invest in their networks to fill gaps like this, but there will always be variances in the different networks — and it’s good to have the data to uncover what those are. Within Asia, AWS network performance was 56 percent less stable than Azure and 35 percent less stable than Azure. When connecting Europe to Singapore, Azure was 1.5 times faster than AWS and GCP. One question that’s always on IT leader’s minds is how well do AWS, GCP, and Azure play together. They compete, but they also cooperate to ensure customers can employ a multi-cloud strategy. The test results showed extensive connectivity between the backbone networks of all three major cloud providers. Customers that embrace multi-cloud can be assured that traffic going between GCP, Azure, and AWS rarely traverses the public internet. Inter-region performance across the three are stable and reliable, so businesses should feel free to go big on multi-cloud. The study highlighted that the network matters with respect to cloud performance, and the only way to truly know what’s going on is collect data and measure performance. The internet is always changing, and this ThousandEyes study is a good snapshot as to what things look like right now. But things are constantly changing. Businesses should continue to collect network intelligence and measure their own performance to ensure they are getting what they expect from their cloud providers.